Creating Revenue from Digital Sponsorship – Where to Begin? The emergence of digital media has opened the door for show organizers to use digital signage to transform their next event and enhance the attendee experience. With the addition of four new digital walls in our facility and more to come, planners now have a new and unique opportunity to enhance their sponsorship and advertising strategy while generating engagement and revenue. Here at the MTCC, event organizers have the unique opportunity to consult with our dedicated in-house Digital Media and Advertising Sales Manager, Frank Bourne, to discuss revenue-generating ideas, trends in sponsorship activation, attendee engagement etc. Frank is an important resource for any show organizer, not only does he manage the content of the digital screens, he can also help guide your strategy to get the best results and revenue outcome. So, where should planners begin to make more revenue from their digital sponsorship strategy? To create the most cost-effective, impactful branding and sponsorship strategy for your event, establish your vision and budget for sponsorship early in the planning stages. Park a budget line, discuss targeting and take advantage of our in-house consultant as soon as possible. This will give you more time to create great content and evaluate all your options. Some show organizers leave sponsorship and branding until the end of their to-do list and miss key opportunities. Simple static ads are still effective, but many shows now understand the importance of taking one step further into digital advertising because it’s cost effective, efficient and can generate attendee engagement, an industry hot topic. For example, at a recent OpenText conference, attendees competed in teams to collect points and the live tally of scores appeared on our digital wall. Attendees would frequently stand in front of it to see their team’s standing in the game, offering a fun way for sponsors or ads to get lots of exposure. People are more likely to commit something to memory if they’re directly involved with it. Once your team has established sponsorship offerings, create a package and identify suggested activation areas that will work best for exhibitors and other stakeholders, based on their target audience. A live feed of tweets and photos can be displayed on our massive digital screens. This is an effective way to promote your event #hashtag and remind attendees to engage with each other, your content, exhibitors and/or speakers. Engage your attendees in a new way with fun and informative facts or trivia questions about your conference topic or organization. Provide your event #hashtag for further social media buzz and discussion. 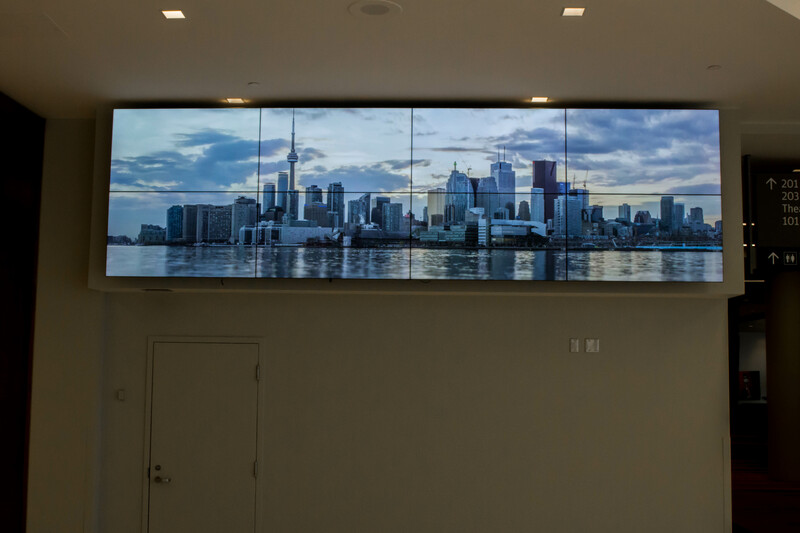 Video is a trend we can no longer ignore, and our digital signs are the best way for your video to make an impact on your attendees. 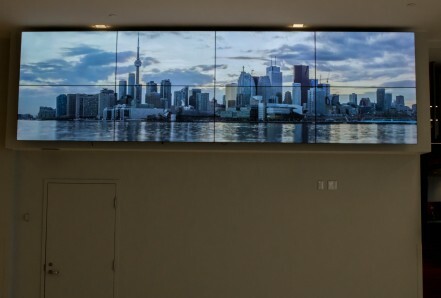 Images of any type can be displayed on our digital screens. A few ideas include photos, a special message from the company president, your logo or sponsor logos, and wayfinding indications that show attendees exactly where to go.